MOSCOW, February 9. /TASS/. 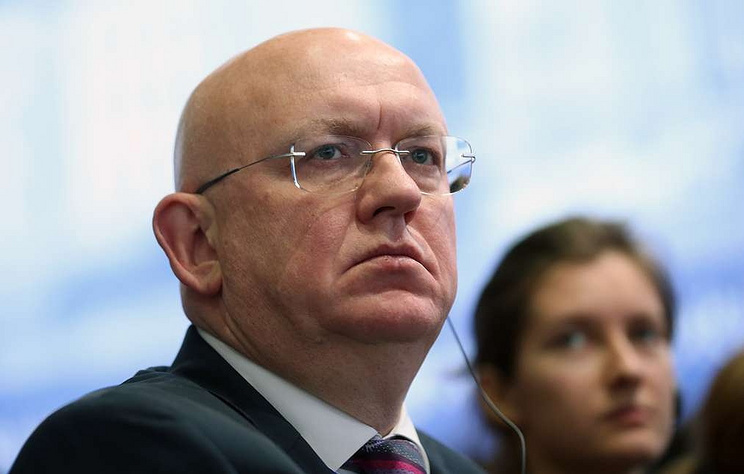 Washington’s dismantling of an arms control system might have unpredictable consequences, Russia’s Permanent representative to the UN Vasily Nebenzya said on Russia’s Channel One on Saturday. "Look what is going on in the disarmament field. The Americans tend to totally dismantle the arms control system which will evolve into an absolutely unpredictable scenario", Nebenzya said. "They give free rein to themselves for an uncontrolled buildup of their weapons. It is extremely incomprehensible how this will end up. The threat of an unexpected conflict does grow up. Certainly, the situation is alarming, but I think we should be optimistic". The Russian ambassador pointed out that the world still faces disagreements stemming from the Cold War era. "One of the main reasons why it is happening around Russia is the West’s deep disappointment that the 1990s ended, that Russia has an independent foreign policy and that they cannot, like back in the 1990s, come to the Kremlin through the backdoor and dictate how we must behave and what we must do", the diplomat noted. Following US President Donald Trump’s order, the United States suspended its liabilities under the Intermediate-Range Nuclear Forces Treaty (INF Treaty) on February 2. Washington launched a withdrawal process to quit the pact within six months, or by August. Russian President Vladimir Putin responded in kind, saying that Moscow would suspend the Cold War-era treaty. Moreover, he told the ministers not to initiate disarmament talks with Washington, underscoring that the United States should become "mature enough" for equal and meaningful dialogue. The INF, or the Intermediate-Range Nuclear Forces, Treaty was signed between the former Soviet Union and the United States on December 8, 1987 and entered into force on June 1, 1988. In 1992, following the collapse of the former Soviet Union, the treaty became multilateral with the former Soviet republics - Belarus, Kazakhstan and Ukraine - as successors. The INF Treaty covered deployed and non-deployed ground-based short-range missiles (from 500 to 1,000 kilometers) and intermediate-range missiles (from 1,000 to 5,500 kilometers).